Macari Vineyards located on the North Fork of Long Island in Mattituck is owned and operated by the Macari Family. The winery was founded by owners Joseph Macari Sr. his wife Katherine and Joseph Macari Jr. who is at the helm of the winery with his wife Alexandra and their children. The Macari family has owned the 500-acre waterfront estate for over fifty years though Macari Vineyards was not established until 1995. 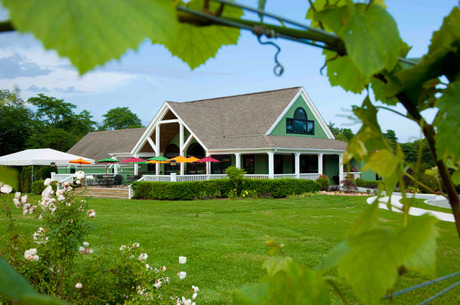 In June 2009 the Macari family opened a second tasting room located on the Main Road in the town of Cutchogue adding twenty acres of vines to their vineyard. Our Cutchogue Tasting Room is a smaller more intimate location where you can enjoy a tasting at the copper bar or wines by the glass outside on our sunny deck. We showcase domestic and imported artisanal cheese and charcuterie à la carte. No outside food permitted.